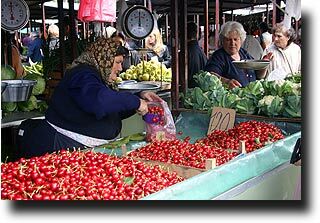 Shopping in Belgrade is a hit or miss affair. 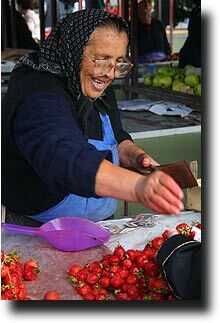 For grocery shopping, most people tend to rely on the green markets that dot the town. These markets made up of covered stalls are open from Tuesday through Sunday until 4 in the afternoon, and provide some great people watching. 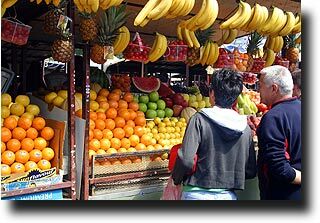 All of the fruits and vegetables are sold when they are in season, so there is a constantly changing variety available. 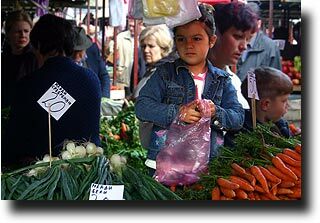 Another place that I like to go (but Susan and the kids really don't) is called the Chinese Market. 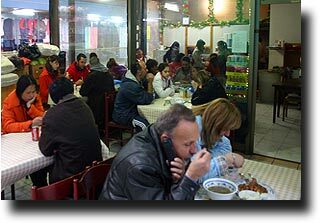 Located in New Belgrade, it is a 2 story complex - set in 2 buildings - of hundreds of tiny shops all run by Chinese expats! 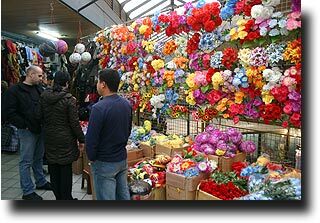 I don't know why so many decided to come to Belgrade, or where they get their wares, but if you are looking for anything plasticky for the home, from fake flowers to kitchen implements to Christmas decorations. This is the place! 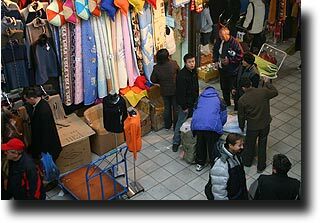 There are also lots of low cost clothes here - not the highest quality of greatest fashion, but they will cover the body! And of course, you can get great authentic (yeah right) Chinese food here. More and more large stores are sprouting up in Belgrade. When we first moved here, there were exactly two: Mercator and Super Vero. Now people can shop at Maxi, Tempo, Metro, Idea, Merkur... 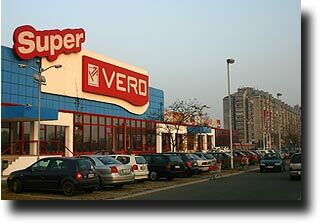 But I still like Super Vero. Call me old school, but they have the best Greek products!! Until very recently, however, people still routinely went to Hungary to get those consumer goods they simply couldn't find here (now that Hungary is moving towards EU membership, however, it has become much tougher for Serbs to get a visa to go). We've made a few of those runs to the border in our time here - we've made trips up to Szeged to get a gas grill, a garden swing, a humidifier, and Mountain Dew!! Neighborhood stores are usually part of the C Market chain (although that is changing), and pharmacies sell every kind of (medicinal) drug you could want. 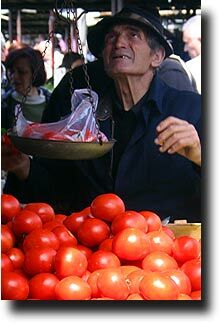 When we first moved here, we were taken to the Buvljak to get our household supplies. It is an outdoor market with tiny stalls selling everything from electrical wire to clothing to smuggled cigarettes - but now you can go to Merkur or Uradi Sam for much of the same stuff.. Interestingly enough, souvenirs are a bit more difficult to find than one might imagine. 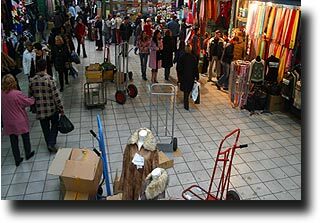 You can find some decent stuff in the airport, in the underground passage by Terazija, at the Kalemegdan end of Knez Mihailova, and at Daco.